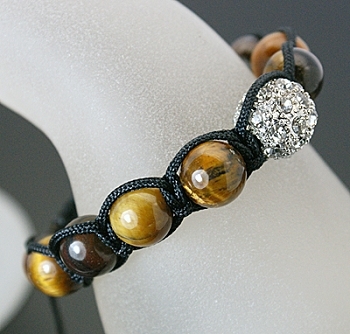 New Buddhist Tranquility Friendship bracelets hand knit macrame design with Rhinestone and Tiger Eye Bead. 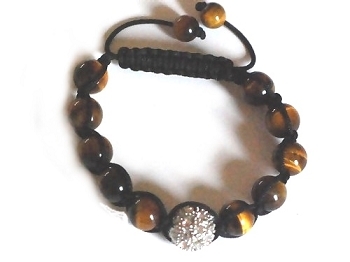 These bracelets are also known as Hip Hop Disco bracelets. 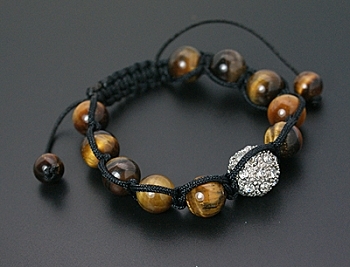 The bracelet is adjustable one size fits everyone.